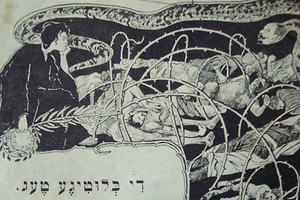 The aim of the project is to study and present – in the form of a three-volume publication – manifestations of collective violence against the Jews living in Poland in the 19th and 20th centuries, and its impact on the emergence of a modern nation (both Polish and Jewish) as well as mutual relations between these two ethnic groups. Pogroms are not only a historical phenomenon, they are still present in the images of Poland and the Poles, and become an issue to be settled during successive debates about the past. Our project should dispel many myths and facilitate the debunking of false information circulating in the academic world. The project is interdisciplinary, as it brings together historians, political scientists, sociologists, literature scholars, historians of art; and international – researchers taking part in it come from several countries. This is a huge enterprise without parallel in the Polish literature on the subject. The Institute of History carries out the project in collaboration with the Department of Hebrew and Jewish Studies, University College London, and the Institute for the History of Polish Jewry and Israel – Poland Relations, the Goldstein-Goren Diaspora Research Centre, Tel Aviv University. The research team is made up of nearly 60 scholars from Poland and other countries.